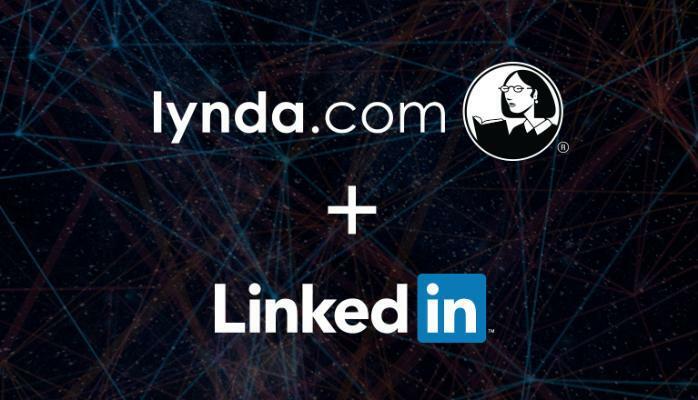 Interesting but not innovative, creative but not challenging, LinkedIn’s acquisition of Lynda.com reshapes the traditional learning materials sourcing model. However, it falls short of providing a major change in that model. That major change is due to come later this year. When, in early April, LinkedIn announced that they’d agreed to acquire online learning company Lynda.com for $1.5bn, the news was greeted with surprise in many quarters. It came just days after Elliot Masie’s The Masie Center had put out a story predicting that this sort of thing was about to happen. Unfortunately, Elliot’s prediction had been intended as an April Fool’s joke – which probably goes to confirm that not only can truth be stranger than fiction but there’s also many a true word spoken in jest. Lynda.com is said to reach more than 4m people a year with its online ‘how to’ tutorials, covering management skills to programming. LinkedIn’s purchase price – of $1.5bn – is almost double the entire budget of the USA’s George Washington University which, no doubt coincidentally, has announced that it is laying off 50 of its staff in a bid to cut costs in a move brought about by a decline in enrollment on its graduate and professional programmes. Commenting on the deal, Laura Overton, head of Towards Maturity, a UK-based benchmarking and market analysis organisation specialising in the online learning technologies industry, said – in an article published on LinkedIn – that helping professionals be better at what they do is a key part of what an organisation’s Learning and Development team should be doing. Acknowledging that much is being written about the impending demise of the traditional L&D function, Laura discussed the suggestion that LinkedIn’s latest acquisition was another body blow to corporate Learning and Development. The ‘Lynda.com’ approach provides workers – notably LinkedIn’s 300m or so members - with access to more choice over learning, yet Towards Maturity’s 2014 survey found that 68% of organisations believed that their staff lacked the skills to manage their own learning. However, Towards Maturity’s Learning Landscape Audit recently analysed some 5,000 knowledge workers and discovered that 81% of them are responsible for managing their personal development. Both statistics can easily co-exist, of course – as can Towards Maturity’s finding that 70% of workers use web search engines to learn what they need for work, 48% use networks inside their business and 26% use external networks and communities – notably YouTube. The challenge for Learning and Development departments is to find ways in which the video-based learning materials of Lynda.com – along with other online resources – can add value to the workforces for whose development they’re responsible. This will involve them in curation – a skill which is relatively new to Learning and Development professionals, rather as changing from being the ‘sage on the stage’ to being the ‘guide by the side’ became their main focus some 15 years ago as online learning became mainstream, co-existing with classroom-delivered learning. As Laura Overton revealed in her article, Towards Maturity’s benchmark study shows that 47% of Learning and Development leaders still see the classroom-delivered course as the main option for building skills and performance. Staff like to learn online but face problems accessing learning content inside their own organisations, with 30% reporting that they can’t find what they need. These figures reveal both IT (firewall) and Learning and Development issues but, unless Learning and Development professionals play the curation card and become valued for knowing where to get the high quality, relevant learning materials their charges need, the ubiquitous nature of online learning materials allied to online curation tools, such as Twitter, Yammer and Skype, as well as Facebook, could see their expertise by-passed as learners concentrate on the social/informal learning space. Since the beginnings of recorded learning programmes – arguably Bawden and Buffy’s sales training films produced in the USA in the 1940s – learning materials vendors have coped with operating in a market with no barriers to entry where the stock of learning materials increases daily. Consequently, learning management systems (LMS) vendors will merely take account of another source of learning materials – from LinkedIn/ Lynda.com - to monitor. So there’s no change or challenge there. The key point is that LinkedIn’s Lynda.com acquisition still fits the established, standard ‘push’ learning materials model - where vendors produce learning materials and make them available to learners, usually for a price. The development and application of technology over the last 20 years or so has merely enabled more of these learning materials to reach more people than ever before. Viewed in this light, the entry of LinkedIn to this market is interesting; potentially challenging to existing learning materials producers, but not revolutionary or innovative in terms of learning models. On the other hand, the Learning and Development world is about to experience the development of the first viable model to ‘pull’ learning to an established worldwide audience. This model is being developed by a company which recently floated on the Australian Stock Exchange (NSX) and is about to float on the Frankfurt Stock Exchange (FSE). When this ‘pull’ model of learning is in place – probably by the end of 2015 –we should all see some real disruption in the traditional learning market. For nearly 25 years, Bob Little has specialised in writing about, and commentating on, corporate learning – especially e-learning – and technology-related subjects. You can contact Bob via bob.little@boblittlepr.com His e-book, ‘Perspectives on Learning Technologies’ (e-book; ASIN: B00A9K1VVS) is available from Amazon and from The Endless Bookcase. It contains over 200 pages of observations on issues in learning technologies, principally for L&D professionals.